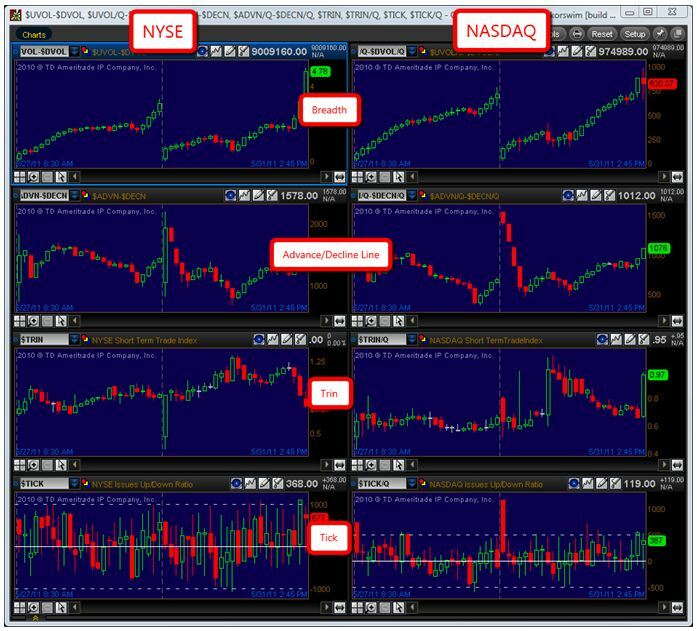 The image above displays the NYSE and NASDAQ opening breadth numbers for the day, as well as the current breadth reading. (This Thinkorswim code can be found here). – When we get a high tick and a high in price at the exact same time, this could indicate the high of the day. – When a high tick prints without a simultaneous high price we can continue to make new highs, until a new high tick is reached (the reverse is true for a low tick followed by new lows).